We are your local connection to Wisconsin's Pharmaceutical Professionals. When your business is temporarily understaffed for any reason, or any length of time, this is where we step in. We can provide a licensed and experienced pharmacist, (They'll probably even be familiar with your computer system) to keep your business running smoothly during periods of temporary staffing shortages. It's a perfect way to cover for vacations, illness, or other extended leave. You make sure not to overburden, or damage the morale of your permanent staff. Because SubStaff is in the job market 365 days a year, we have access to those potential employees that are not accessible through traditional recruitment methods. As you probably already know, advertising job openings can often create the wrong results. Too few qualified respondents, or too many unqualified ones. Worse yet, applicants that are just testing the water, and have no real intention of changing jobs can be a waste of time. Having a job offer turned down is frustrating and time consuming. Making a bad hiring decision based on a limited applicant response can cost thousands of dollars. SubStaff can quickly and efficiently locate qualified professionals, ready to work in your community. Let our 30 years of recruitment experience start paying off for your company, contact us today. Have a vacant Pharmacist, or Tech position? Call us today and the solution could start tomorrow. We can perform your search on a contingent basis; you only pay us if you hire someone we refer. Call for details and a permanent placement fee schedule. 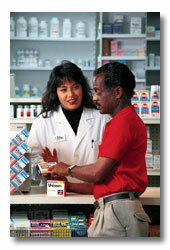 Ask about our risk free "Try before you buy Program"
Pharmacy staffing solutions for Wisconsin and Northern Illinois.